Package of two pairs or 0.5 lb. 227g bulk. 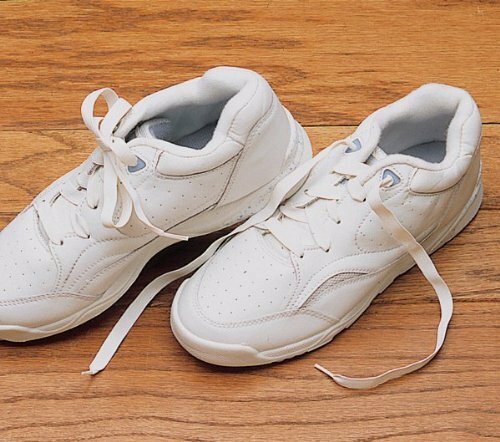 Turn a lace-up shoe into a slip-on shoe.Ideal for people with limited back mobility decreased hip flexion or limited hand dexterity. Lace and tie shoes in the normal manner just once. Shoes can be slipped on or off easily without tying and untying. Norco Deluxe Elastic Shoelaces are designed for athletic shoes with five six or seven eyelet sets. These laces measure 0.38 in. 9.5mm wide. . Also available as Norco Elastic Shoelaces which are slightly thicker.. Dimension - 0.5 H x 3.5 W x 5.5 D in.. Item Weight - 0.05 lbs.. Color - Black.